A time for pumpkins, scary costumes, mischief night, sugar highs and crazy resurrected Q*bert Halloween characters! Check out this haunting update and delve into your pagan lizard brain roots with Zom*bert, Jack*Q*Lantern, Franken*bert’s Monster, Q*tankhamen and Dra*Q*la. 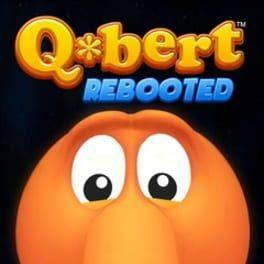 Q*bert: Rebooted is available from 4.99 to 4.99 from 1 shops.